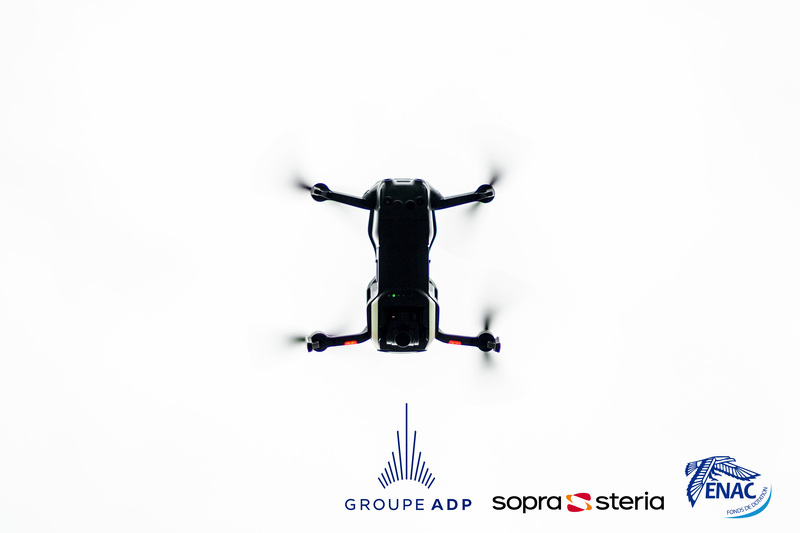 The "ENGIE Ineo - Groupe ADP – SAFRAN research chair on drone systems", run by ENAC, was created on 15 June 2015. It is the first European chair dedicated to the integration of drones into air space. The chair includes three components: research, teaching and diffusion of knowledge. The work of chair researchers, backed by ENAC teams, will encourage development of procedures and standards for use of drone systems subject to certification, to open the way for civil applications of drones in a national and international context. The chair will also encourage development of discussions and reflections on the topic of "drone systems" between partner companies and students enrolled in Engineer curriculum (Drone specialization opened in 2014), as well as with students in ENAC Masters and Advanced Masters. Finally, the chair intends to share its findings via events and publications for a wider audience (students, companies, institutional stakeholders, etc.) thus contributing to development of regulation in the area of civil drones. What are ENAC's objectives in creating the research chair on drone systems? The aim in creating the chair is a dual one: it is about increasing the means available to researchers from the School and strengthening the links between research and industry. This will allow ENAC to position itself, alongside the sponsoring companies, as the European, or even international, leader on the topic of drone integration into civil air space. The development of the use of UAVs for civil applications will depend on their capacity to be integrated safely (both for the other users of the air space and for people under the flight path) in areas from which are currently banned. This implies lifting the technological and regulatory barriers which currently limit this integration. Close cooperation between the researchers, industry and Civil Aviation authorities is essential. What are the advantages of working with a chair model to research UAVs ? In addition to the extra financial means that the patrons provide ENAC researchers with, the chair is able to sustain work in the long term. In the case of the research chair on drone systems, agreements have been signed with the patrons for a renewable period of three years. In particular, it allowed for the recruitment of two researchers who joined the team in December 2015. Having several years to work on theoretical concepts, develop them, validate them and then adopt them as standards or norms is strategic. But the commitment of patrons alongside the School is not just financial. Their involvement in the the chair will also allow them to benefit from the synergies which will doubtlessly be an additional asset. The collaborations which have existed for years with the patrons are, incidentally, evidence that this chair is simply the result of a good relationship and mutual trust between the respective teams. Another advantage of the chair model lies in its dual research/education approach. The fruits of the research work can be transmitted to the student community and enrich our teaching programme. Lastly, the circulation of work from the chair will also extend to working groups and expert groups, in which the Drones team regularly participate on a national and international level. What are your company's objectives in getting involved in the chair? Strengthened by its expertise in the aeronautical, energy and defence industries, Engie Ineo is involved in the development of UAVs in order to offer its customers innovative solutions in other industries: Oil & Gas, crisis management, industrial heritage management, measurements (environmental, remote measurement). With this partnership, new employees will be trained and the evolutions in regulations will be anticipated. Moreover, this action is consistent with ENGIE's recent equity participation in Redbird, a company specialised in the analysis of technical data collected by drones. What are your company's objectives in getting involved with the research chair on drone systems? By relying on over 25 years of experience in the area of UAVs systems and on a recognised European expertise on the issue of the insertion of drones into air space, SAFRAN is supporting the development of higher education and French research in this area. Its aim is to encourage the worlds of academic and industrial research to come closer from one another by supporting bodies wishing to implement projects in these areas. Why have you chosen ENAC to create the chair? Especially committed to the development of a French civil drones network via its role in “la Nouvelle France Industrielle” and the French Civil UAVs Council, Sagem intends to continue to play a driving role in technological innovation for UAVs systems. It is with this in mind that SAFRAN supports ENAC's actions encouraging research in this area. The research chair on drone systems is the first ENAC research chair. What is a chair and how does it work? There are numerous chair formats and therefore various definitions of what a chair may be. At ENAC we started from the observation that some research work developed by ENAC labs would benefit from recognition on a national level, but, due to a lack of means, the majority of the time, found it hard to overcome the next stage of gaining reputation beyond our borders. The main objective in creating chairs is for us to secure new funding, in order to make research areas that ENAC is already renowned for more sustainable and dynamic. To reach this objective, patron companies wanting to associate with our School and its reputation in these areas, support us via philanthropy and we create a shared project combining research work, applications in the education offer and the circulation of knowledge with international audiences. What is the role of the ENAC Foundation in creating the chair (and more generally in ENAC's Research activities)? The Foundation is an entity that is indeed legally independent, but with the objective of supporting the development of ENAC. The projects that it carries out are selected in partnership with the school and are consistent with its strategic plan. In the case of chairs, a call for projects was launched in 2013, in order to identify the eligible topics. Once a research subject and a chair holder were identified the Foundation offered its assistance to the researchers, in order to convince the potential patrons to participate in the project. One could say that it is a real joint-construction between the research teams at ENAC and the Foundation. Alongside the research chair on drone systems, the first chair created by the ENAC and the Foundation and the first chair in Europe in this topic, three other projects are currently being created. The ENAC Foundation also offers the patron companies a tax reduction on donations made to these projects.